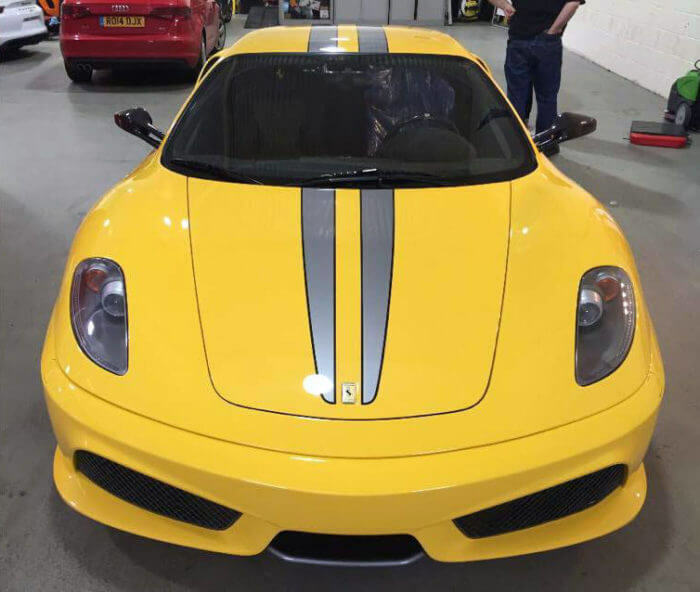 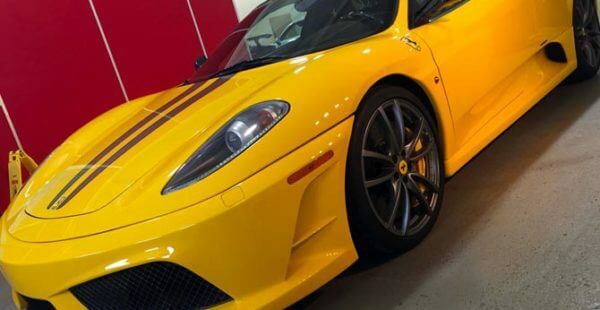 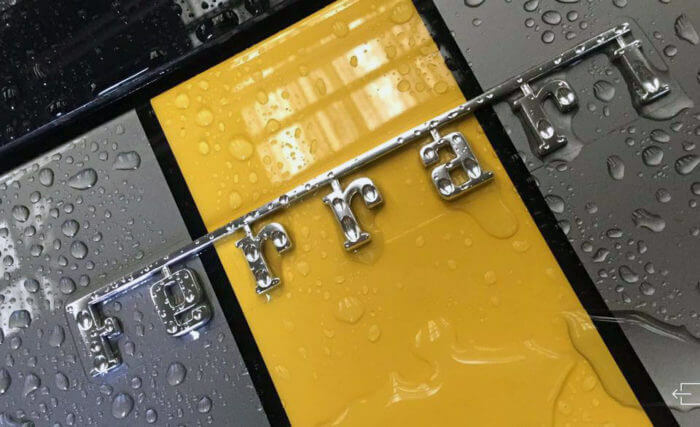 Now if you are looking for something a little bit special and rare, then this incredible bright yellow Ferrari 430 Scuderia is just the ticket! Serving as the successor to the Challenge Stradale, the 430 Scuderia (scuderia meaning “stable of horses”) was unveiled by Michael Schumacher at the 2007 Frankfurt Auto Show. 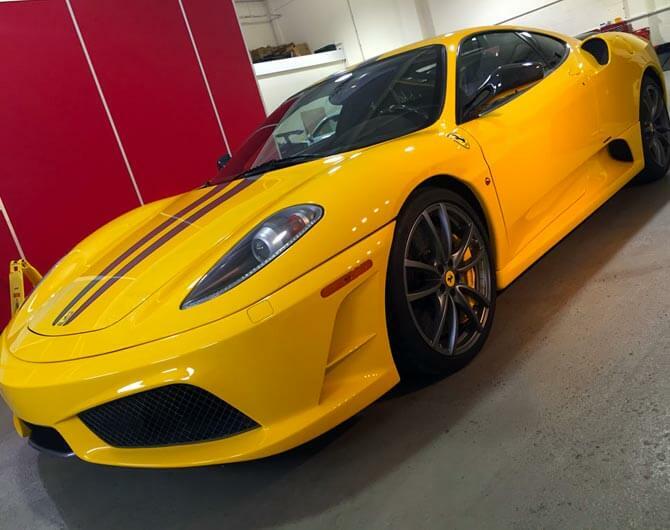 Aimed to compete with cars like the Porsche RS-models and the Lamborghini Gallardo Superleggera, it is lighter and more powerful than the standard F430. 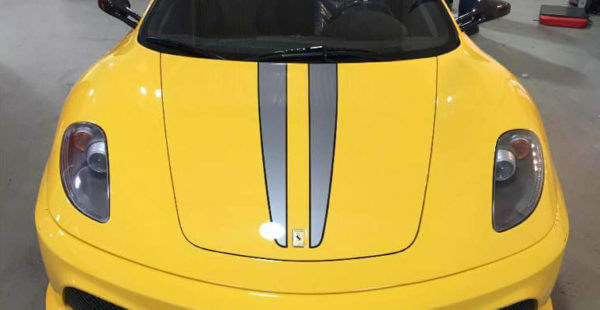 Increased power comes from a revised intake, exhaust, and an ion-sensing knock-detection system that allows for a higher compression ratio. 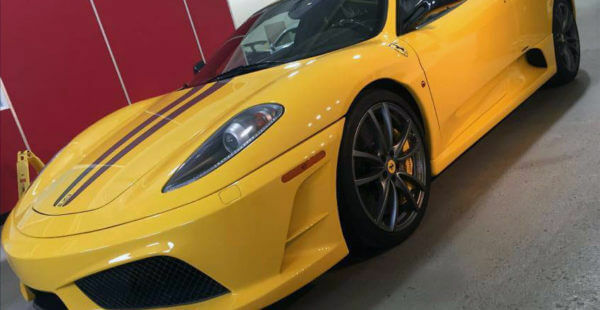 In addition to the weight saving measures, the Scuderia semi-automatic transmission gained improved “Superfast” software for faster 60 millisecond shift-times. 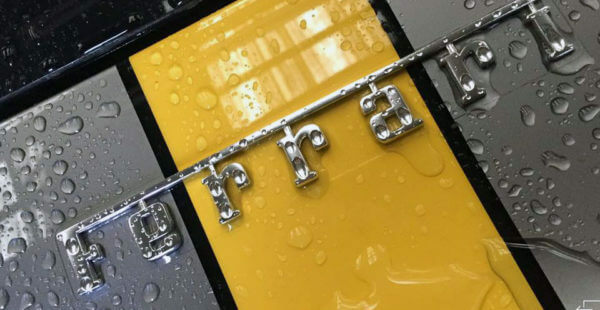 A new traction control system combined the F1-Trac traction and stability control with the E-Diff electronic differential. 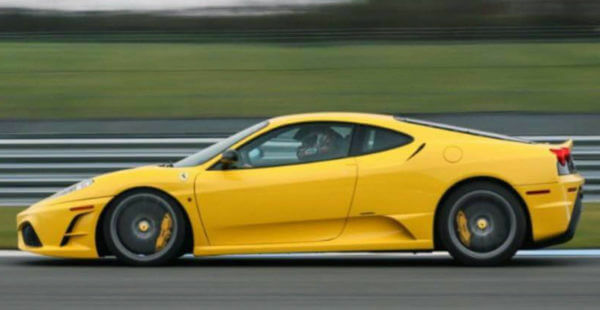 The Ferrari 430 Scuderia accelerates from 62 mph in 3.6 seconds, with a top speed of 198 miles per hour. 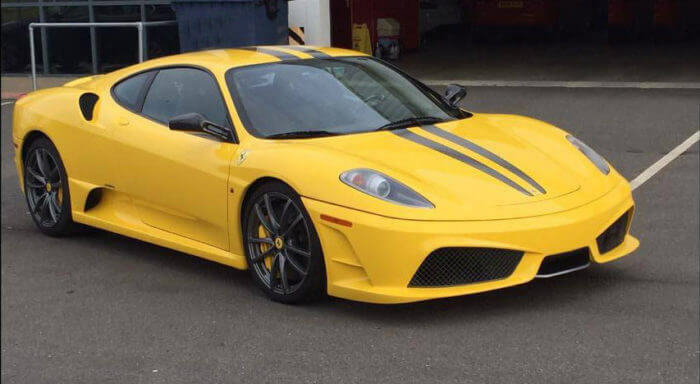 Ferrari claims that around their test track, Fiorano Circuit, it matches the Ferrari Enzo, and the Ferrari F430’s successor, the Ferrari 458. 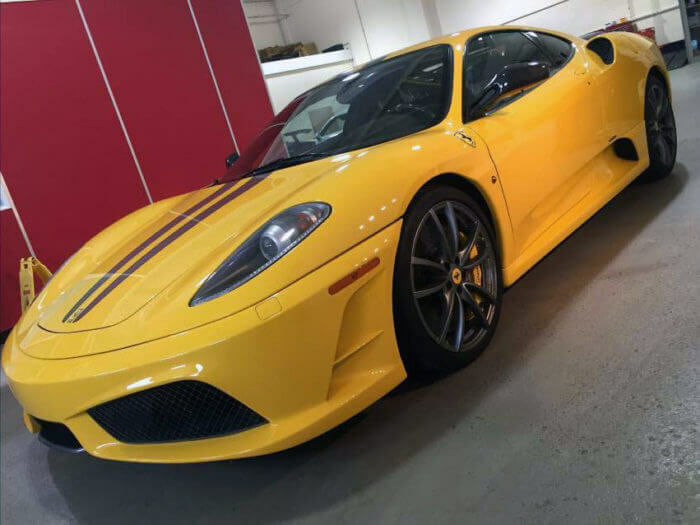 So if getting to the church quickly and in style is your desire, then this Ferrari 430 Scuderia is the car for you!